Close the door and measure the top of the jamb. Mark the length on the short side of the weatherstripping. 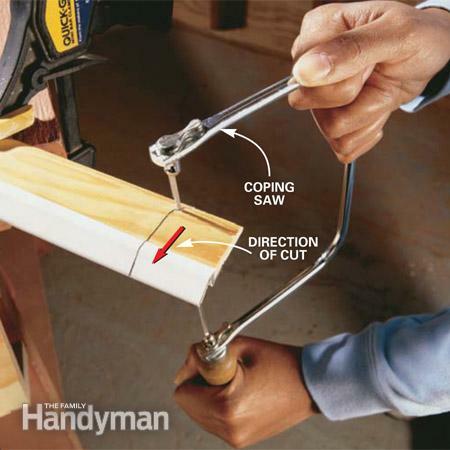 Tap 1.5-in nails into the wood flange so that the weatherproof runs the length of the door. Don't drive the nails in yet; first get a measurement of the sides. Cut one end of each side weatherstripping with a Coping Saw to fit the profile of the top piece. Mark the profile using a scrap for a guide. File or sand your cut for a tight fit. Then measure and cut the bottom to length and position it it correctly. 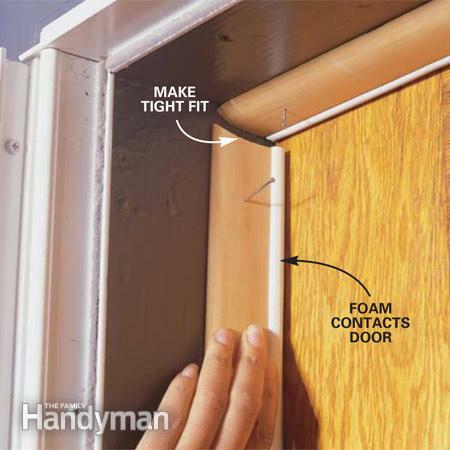 Make sure the door closes properly and the weatherstripping is tight against the door. Position the door sweep and mark the screw positions. Then drill the pilot holes. Push the doorstop down and screw in the sweep.